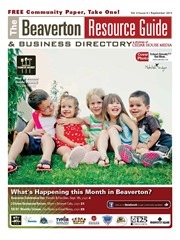 The Beaverton Resource Guide (BRG) is a free monthly community paper written, edited and published in Beaverton, by Beaverton residents and for the businesses and people of Beaverton, Oregon, USA. Cedar House Media published the first edition in April of 2011 featuring local businesses, community news, and the Farmers Market. That first issue was 16 pages. Today, the paper is 32 pages and sponsored by a diverse cross section of public and private community organizations. Beaverton has so many positive attributes and many go unnoticed. The BRG is our way of giving back to the community by highlighting what makes our city a great place to live, work and shop. With a focus on small, local businesses, we’d like to encourage our neighbors to first visit nearby stores and give them a chance before moving on to businesses outside our community. As a business in the Beaverton area, your ad will be seen by those who are most willing to go out of their way to keep their dollars close to home. These shoppers, your potential new customers, also happen to be our best readers! In addition, we don’t print massive quantities and mail them out to uninterested parties. 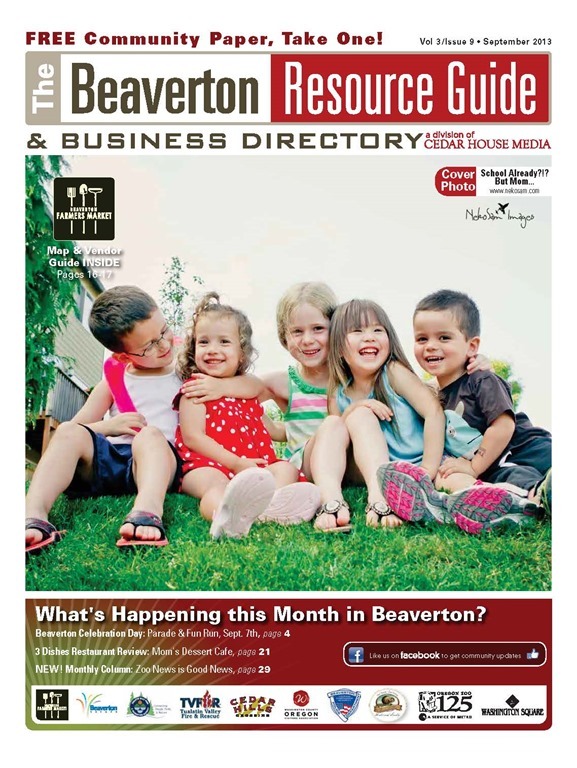 Our papers are located in convenient and high traffic locations ready to be picked up by those who love Beaverton. With low rates, targeted distribution and a willingness to provide more value than what you pay for, you’ll find that we’re just as interested in stretching your advertising dollar as you are! Cedar House Media is a local, family-owned business dedicated to offering a complete variety of marketing solutions at affordable prices. We have a passion for what we do, and we proudly stand behind our commitment to deliver outstanding customer service to our clients. Established in 2001 as local print and graphics shop, Cedar House Media has grown to serve a national audience without taking our eyes off our neighborhood community who has helped us get where we are. Our website boasts a broad range of products in addition to our core services, which include marketing, design and the publication of two area periodicals, the Beaverton Resource Guide and All Things Real Estate.